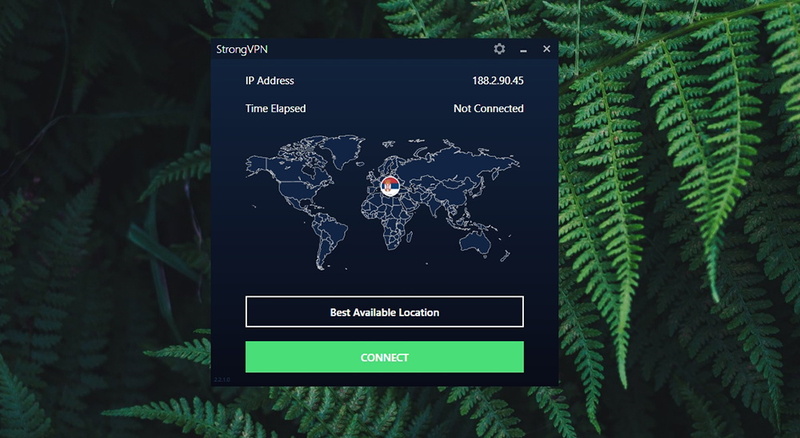 StrongVPN Review 2019 - Great in Theory, But Not As Good in Practice! 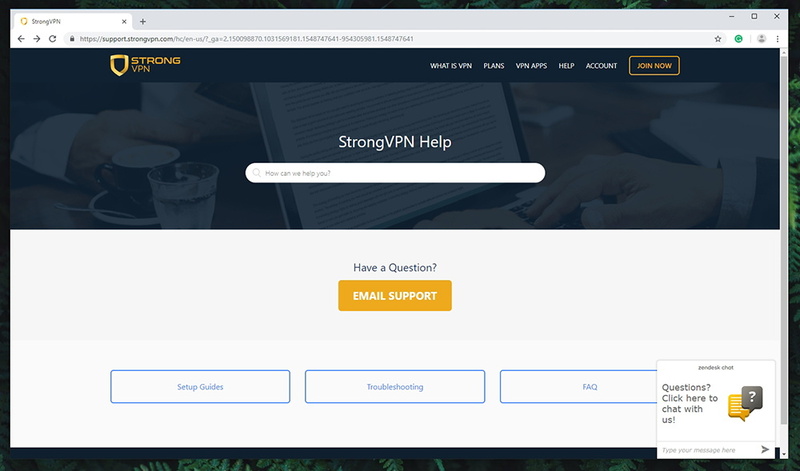 StrongVPN Review 2019 - Great in Theory, But Not As Good in Practice! 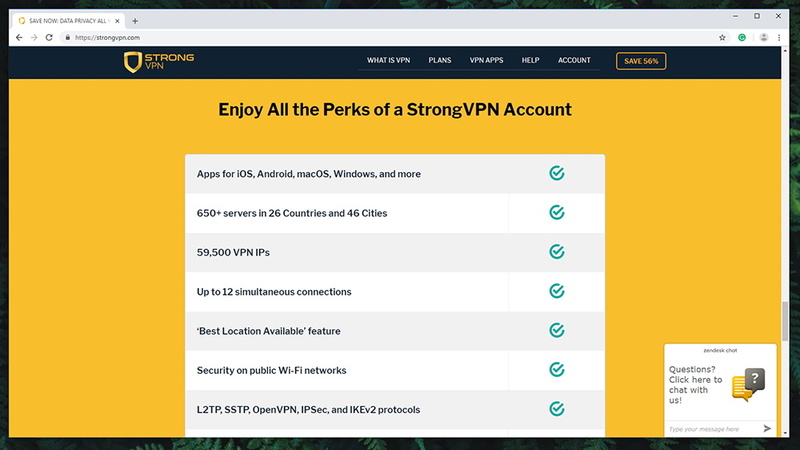 StrongVPN Review 2019 – Interesting Feature Set, But Plagued by Numerous Downsides! After having reviewed dozens of VPNs, TechNadu’s editorial team knows a thing or two about this type of software. And we’re here to help you decide whether StrongVPN is worth your time and money by dissecting this service into its smallest bits. 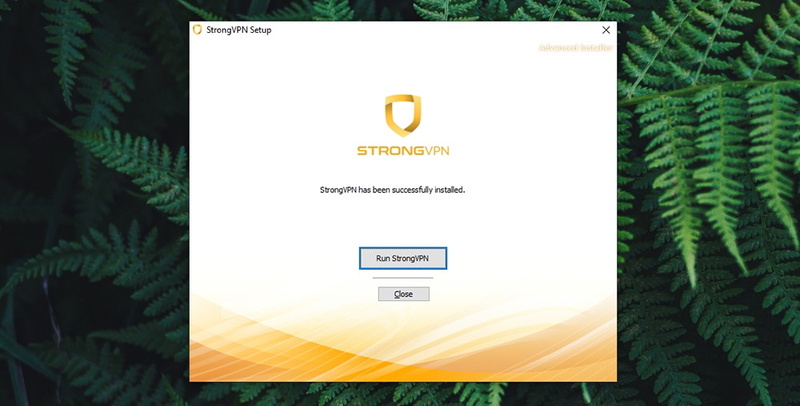 Therefore, welcome to our hands-on review of StrongVPN! 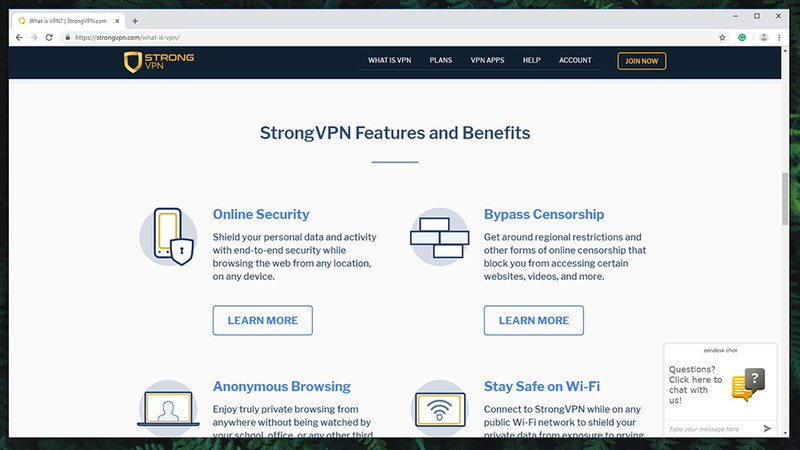 We’ll introduce you to our StrongVPN review slowly, by first letting you know about this VPN’s most prominent features. This is where the following table comes into play, so take a quick look. No activity logs; No connection logs. AES-256; OpenVPN, L2TP, SSTP, IPSec, and IKEv2. Up to 46% on average. Windows, MacOS, Linux, iOS, Apple, FireOS, Routers. In case you’re looking for the best VPN for streaming, make sure to take a look at the following table. We test each VPN with the world’s most popular streaming services, allowing you to see which websites you can unblock and how well they can perform. And lastly, we have one final table. This is where we’ve placed our feedback based on our hands-on testing of StrongVPN. If you want to know more about this VPN, make sure to keep on reading. And if you’re looking for additional options, you can always check our recommendations for the best VPN services right now. Easy installation; Unblocks Netflix and Hulu; Latest security protocols; No data logs. Mediocre performance; Comes from the US; Medium-sized server network; Can’t unblock a number of websites. Even though StrongVPN does show a lot of promise, it can’t compete with top-rated VPNs of today’s market. Still, it can keep you safe online and it unblocks Netflix, so there’s some market for this service. That would be all for our introductory part. Now, it’s time to take a very deep dive into everything that StrongVPN offers, so make sure to stick with us and keep on reading. Just like in our every review, we’ll begin by telling you about StrongVPN’s jurisdiction and then we’ll provide a guided tour of the application’s features. To learn more about our reviewing process, we have a dedicated article about how we review VPNs, so make sure to take a look. StrongVPN comes from the USA, which can be seen as problematic. However, it claims not to collect your logs and there are no previous data leaks. Our Score: 5/10. The main purpose of any VPN is to hide your online activity. However, VPNs have to oblige to laws of their home country, which is why checking background information is crucial. So, let’s take a look at where does StrongVPN come from and what it means for this service’s subscribers. The company behind StrongVPN started its life back in 1994 in Lake Tahoe, California. It initially sold PC computers and later expanded onto dial-up Internet services. Then, in 2005, it transformed into a VPN provider. During all those transitions, it never changed the location of its headquarters. This means that this company is still based in the USA. We don’t have to tell you about the situation in the USA regarding mass surveillance. This country is one of the core members of the 5-Eyes (14-Eyes) Alliance. This means that it’s cooperating with a group of countries by collecting and exchanging different kinds of data. As such, this is perhaps one of the worst places on the planet to base VPN operations. As Edward Snowden revealed a few years back, the USA government already knows plenty about you, and they have the means to influence IT companies into handing over your private data. You will be happy to know that StrongVPN doesn’t have any data leaks or breaches in the past. This means that they’re staying loyal to their claims. However, you should also know that there have been numerous warnings in the past about StrongVPN using tracking services. If you click on the provided link, you’ll see a report (from 2015) saying that this VPN contains 11 external trackers, 7 external analytical services, and it uses 11 cookies (10 of which have been associated with tracking services). The bottom line is that you’ll have to decide whether to trust StrongVPN with your private data. It comes from the USA, which is problematic. However, they claim to keep your privacy in the best way possible, and there aren’t any problematic data leaks in the past. 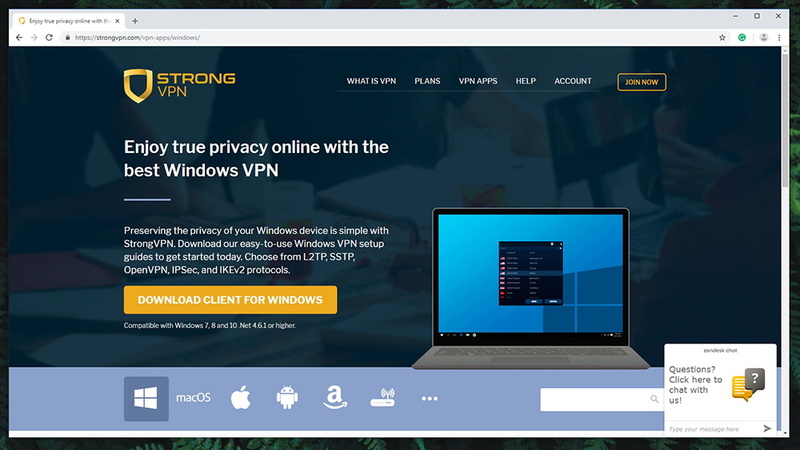 StrongVPN is offering broad support for all the currently popular desktop and mobile devices, routers, and some media streamers as well. Our Score: 9/10. To take full advantage of your VPN, you’ll want to use it on all your Web-connected devices. Therefore, you need a service with plenty of native apps, and there should be manual configuration for lesser popular platforms. Asus, Sabai, Tomato, DD-WRT, and Mikrotik routers. Amazon FireOS, Kodi, Amazon Kindle, Chromium OS. As you can see from the table above, StrongVPN comes with broad compatibility with numerous platforms. However, it’s important to be said that you can count on native apps for Windows, MacOS, iOS, Android, and Amazon FireOS. For all the other platforms, you’ll need to configure this VPN manually. When it comes to Web browsers, you can use StrongVPN as a proxy on Google Chrome. It’s a shame that this provider doesn’t cater to users who wish to have an extension for Mozilla Firefox and Apple Safari. However, you can always use a native app instead. To cover any other type of devices (like unsupported media streamers and gaming consoles), you need to install StrongVPN on a router. Plenty of routers models are supported and there are nicely written installation guides that can help you get started. And also, please note that you can use StrongVPN on up to 12 devices. The limit was set to 6 devices previously but has been increased in December 2018. StrongVPN comes with a simple installation method. At any moment, you can rely on helpful installation guides as well. Our Score: 10/10. To get started with StrongVPN, you can either download and install one of the native apps, or you can go with manual configuration. No matter which way you go, you first need to sign up for StrongVPN. After you select a subscription plan and create your username and password, you can proceed to download the software on your device. 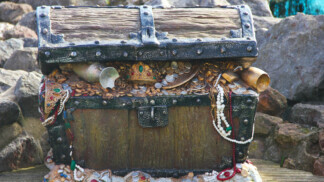 Before you get to use this software, you need to supply your user credentials. 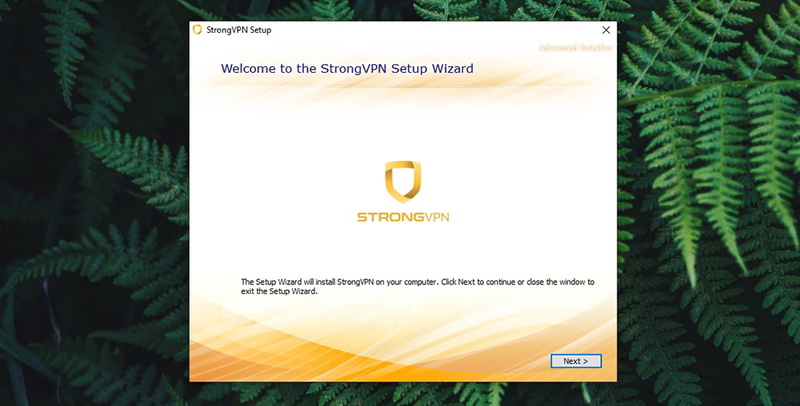 So, enter your username and password, and you’ll see StrongVPN’s home screen. The entire installation process should not take more than a few minutes of your time, and it’s quite simple and straightforward. 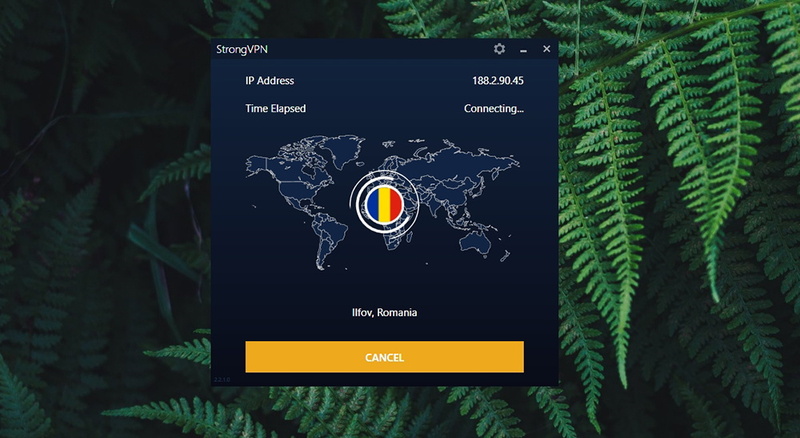 Even though StrongVPN covers the basic features, it falls short when it comes to more advanced features that could have set this VPN apart from the rest. Our Score: 7/10. Before you buy a VPN, you’ll want to check its list of features. However, do you know which features are important and how to differentiate advanced ones from the basic ones? Well, we’re here to help. It seems like StrongVPN covers the basics well. To ensure that you’re protected online, this VPN employs both DNS and IPv6 leak protection. And to keep you safe even if you accidentally disconnect from a secure server, this VPN uses a powerful kill-switch which shuts down your Web traffic. And of course, you get to use StrongVPN with no limitations in terms of server switches, bandwidth, or data. However, we also have to note that a few things are missing here. First of all, StrongVPN doesn’t protect you from aggressive and sometimes malicious online ads, as it doesn’t have an ad-blocked built-in. And there’s also no anti-malware either. 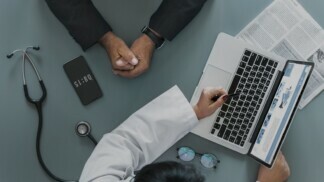 And lastly, more advanced features are missing such as split-tunneling support, which enables you to select applications that only work via a secure connection. With this said, we conclude that StrongVPN is a reliable but basic VPN. More advanced users who want to tinker with their VPN and who want access to the latest technologies will need to look elsewhere. StrongVPN offers 650+ servers, which isn’t sufficient for more advanced VPN users wishing for greater freedom. Our Score: 4/10. Today’s VPNs bring thousands of servers each, spread across the entire planet. After all, you want to be able to use a server in any part of the world, without thinking about whether it’s overcrowded with users. And this is why checking the number of servers is important. As you can see, StrongVPN allows its subscribers to access more than 650 servers in 27 countries. This might seems like plenty – but it’s actually not, especially if we compare it to the VPNs with most servers. You’ll see that some VPN brands like NordVPN, Private Internet Access, and TorGuard have between 3,000 to 5,000+ servers, each. We still believe that average VPN users will be more than happy with having access to 650 servers. 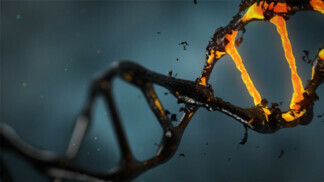 However, more advanced users and those looking for the best possible performance should make another pick. Those types of users need a VPN with a high server count, and many of today’s VPN services provide reliable answers to those needs. Let’s also not forget to mention that you can connect to specific cities, which is great for unblocking local websites and Web services. And of course, you get to hop from one server to another with no limitation. SaferVPN does have an easy-to-use interface. However, there are plenty of VPNs out there with much better solutions in terms of UI and UX. Our Score: 7/10. Now, we are going to take a look at how StrongVPN looks like, and how easy it is to use. This means taking a closer look at its UI, so keep on reading to find out more. The home screen of StrongVPN is fairly simple. You will see a map that’s used for illustrative purposes, which means that it’s not interactive. To connect to a server, you can click on the ‘Best Available Location’ to select a server first. Once you make your selection, click on the prominent ‘Connect’ button to make your secure connection happen. This button will later turn into ‘Disconnect’, which is where you can end the secure connection. When it comes to selecting a server, you’ll see a list of supported countries and cities. You can search for something specific via the search field, found at the top of StrongVPN’s window. And you can also let this VPN decide which servers work best based on your physical location. 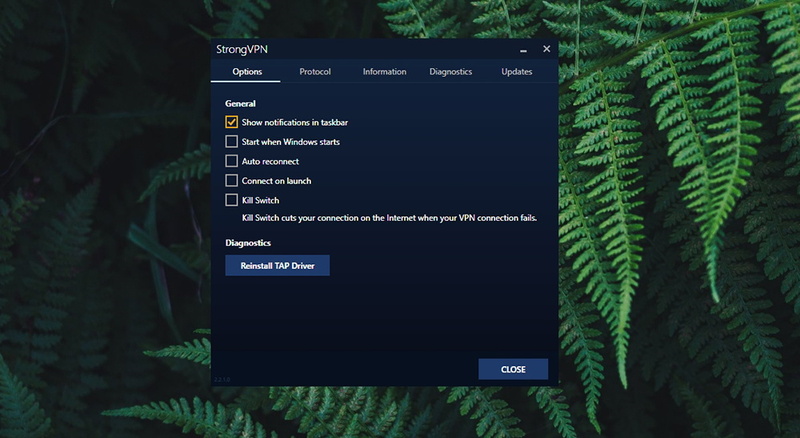 Options: The first tab lets you set StrongVPN to launch when Windows starts, and you can also choose to automatically connect to a secure server. In addition, this is where you can enable the kill-switch, which we strongly recommend you do. Protocol: This option allows you to easily switch between different supported VPN protocols. StrongVPN does a nice job of explaining what to expect from each of those, and whether you’d like to focus on speed and performance, or if your primary goal is to be anonymous online. Information: You can use this tab to check your account information, change your password, and also see some basic information about your system. Diagnostics: Everything you do within StrongVPN will be saved here as a text document. In case of any problem, support technicians will ask for diagnostic information. Updates: Lastly, the final tab lets you check for new updates, see how often you want to update your software. You can also choose to install beta updates as well. All in all, StrongVPN has a fairly simple user interface. Even though we’re sure that even complete beginners will find their way through this application easily, some optimizations could be made to make this application even better. 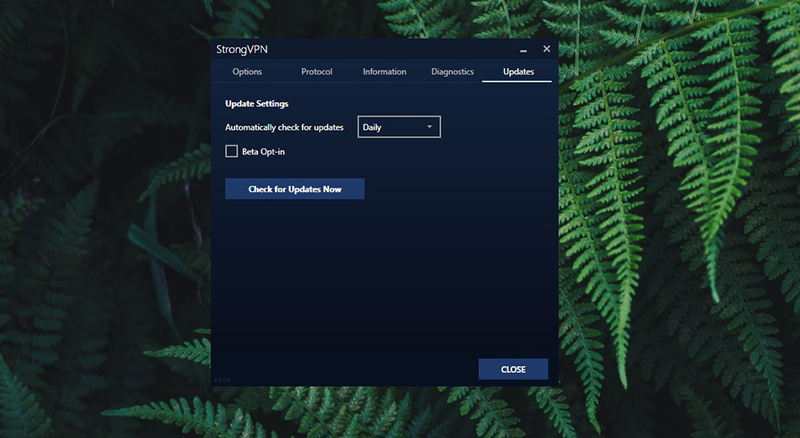 It’s worth noting that StrongVPN has been sticking to its UI for a long time now, while top-rated VPNs often implement changes to their user experience and interface. Lastly, you should know that StrongVPN comes with a non-resizable window, which might be a problem for those with 2K and 4K monitors. However, built-in scaling on Windows should resolve this issue. 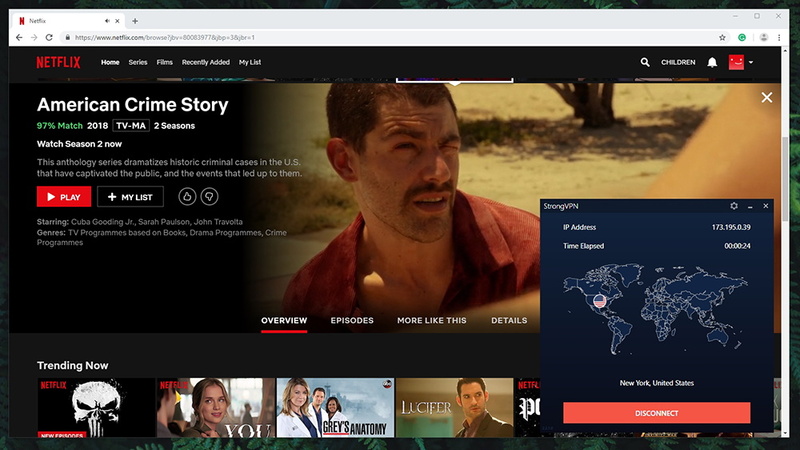 StrongVPN works with Netflix, Hulu, and P2P traffic, at least for the moment. The same can’t be said for services like BBC iPlayer and Prime Video. Our Score: 6/10. 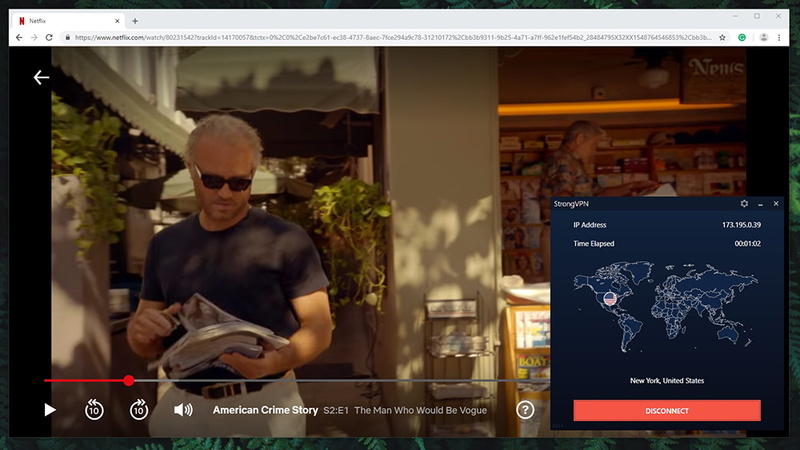 We’re sure that many of you are reading this review to know whether StrongVPN works with Netflix and Hulu. 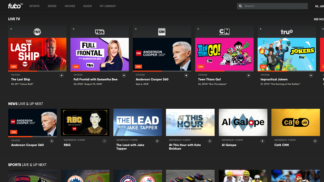 That’s why we have a dedicated segment in this article about this VPN’s media streaming features. As you can see, StrongVPN is capable of unblocking some websites. We were able to unblock and stream from Netflix US and Hulu. However, even after trying numerous servers, we weren’t able to unblock BBC iPlayer nor Amazon Prime Video. It’s interesting to note that Hulu comes with aggressive anti-VPN measures. Therefore, the fact that StrongVPN can defeat those is a major achievement. However, things aren’t that simple. In the past, there were reports of StrongVPN being blocked by both Hulu and Netflix, and their support for BBC iPlayer also has had its ups and downs. Therefore, it looks like StrongVPN is continuously trying to improve its unblocking techniques. For you, this means that you can’t know for sure whether this VPN will support media streaming in the future. On the other hand, torrenting works just fine when using this VPN. However, since it comes from the USA, we strongly recommend you stick to legal torrents (as you always should). StrongVPN uses the latest security protocols, and there are no DNS leaks. Also, it doesn’t actively collect your information, aside from your sign-up data. Our Score: 9/10. As noted in one of the earlier segments of this StrongVPN review, this VPN comes from the USA. Therefore, we wanted to investigate all the ways that StrongVPN protects their users, and whether you should trust this company. So, here’s what we found. First of all, you should know that StrongVPN uses 256-bit AES encryption. This is perhaps the strongest commercial type of encryption, used by all top-rated VPNs right now. In addition, this VPN relies on a wide range of protocols. However, these protocols depend on the platform you use. OpenVPN, which is considered to be the strongest and safest VPN protocol right now, is available on Windows, MacOS, and Android. IKEv2 can be used on Windows, MacOS, and iOS. And you can use SSTP (Windows), IPSec (iOS, MacOS), and L2TP (Windows, MacOS). As you can see, there’s plenty to choose and we recommend you read our guide to VPN protocols to understand their benefits and differences. All in all, there’s nothing alarming here. It’s clear that StrongVPN does collect some data when you sign up, so this isn’t a 100% anonymous VPN service. However, there’s no evidence that StrongVPN maliciously collects your data or hands it over to third-parties. Finally, we also want to make sure that your DNS isn’t leaking. In case this happens, this means that the websites you visit can see your true identity, which beats the purpose of using the VPN, in the first place. As evident from the screenshot above, our DNS leak test is telling us that no leaks are occurring. This means that third-parties on the Web will only see what StrongVPN allows them to use, which is your virtual IP address – which can’t be traced back to your ‘true’ location. StrongVPN slowed us down by around 46%. This isn’t terribly bad for a VPN, but there are many alternatives out there providing much better performance. Our Score: 5/10. Even the best security-related features don’t mean much if you can’t count on reliable performance. To check what kinds of performance you can expect from StrongVPN, we’ll do several tests. So, let’s get started by checking our baseline stats. Our baseline stats (without the VPN). The image above shows the speed of our Web connection without a VPN involved. We managed to get 146.85 Mbps for downloads and 9.64 for uploads. We’re now going to launch StrongVPN, connect to a few secure servers and check the VPN’s performance. The performance of a nearby server (Romania, Europe). First, we’ve allowed the VPN to connect us to the fastest server. After some calculations, we were connected to a server in Romania (which is one of our neighboring countries). After running a speed test, we got 42.45 Mbps for downloads and 6.37 Mbps for uploads. We have to say that these are pretty disappointing results so far. The performance of a nearby server (UK, Europe). Then, we’ve tried to pick a server manually and we went for a server in the UK. Surprisingly, this one performed much better, bringing 109.76 Mbps for downloads and 9.27 Mbps for uploads. This tells us that StrongVPN’s algorithms for picking the best server aren’t working properly, so you should always go for selecting a server manually. 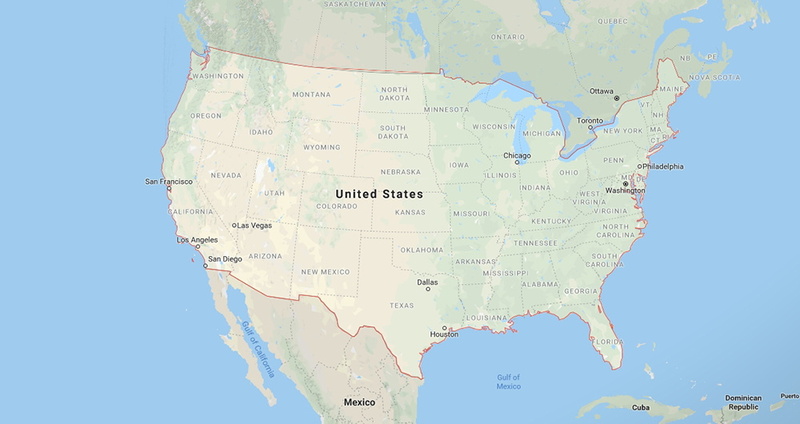 And finally, just like we do in our every VPN review, we connect to a server in the USA. These are usually the most popular servers, often used for media streaming. We got 85.46 Mbps for downloads and 6.25 Mbps for uploads. We can see that StrongVPN throttled our Web connection by 46% on average. This certainly isn’t the best result out there, as top-rated VPNs keep the throttling up to around 15%. Even though StrongVPN offers several ways to get help, some channels are not as helpful as they could possibly be. Our Score: 7/10. In times of crisis, you want reliable customer support channels. With this said, here are all the ways that StrongVPN can help you. Live-Chat Support: When you visit StrongVPN’s website, you’ll see a live-chat icon in the bottom right corner. We’ve used this option a few times, and a support agent managed to offer help each time. There are no long queues either, so you should get help in no time. Troubleshooting: When you’re having technical problems with StrongVPN, you can rely on a series of troubleshooting guides. These cover various platforms and can be helpful at times. However, they’re not as comprehensive as we hoped them to be. FAQ: Similar to the previous type of support, FAQs are here to answer common questions. Once again, around 30 questions are currently on the list, so nothing overly impressive here. Setup Guides: Luckily, StrongVPN comes with a nice set of setup guides covering all of the supported platforms. Email Support: Lastly, you can send a question via email or open a support ticket. On average, expect to receive an answer within 24h to 48h hours. Considering everything said so far, we believe that StrongVPN could attract more users by making its price lower. Our Score: 5/10. 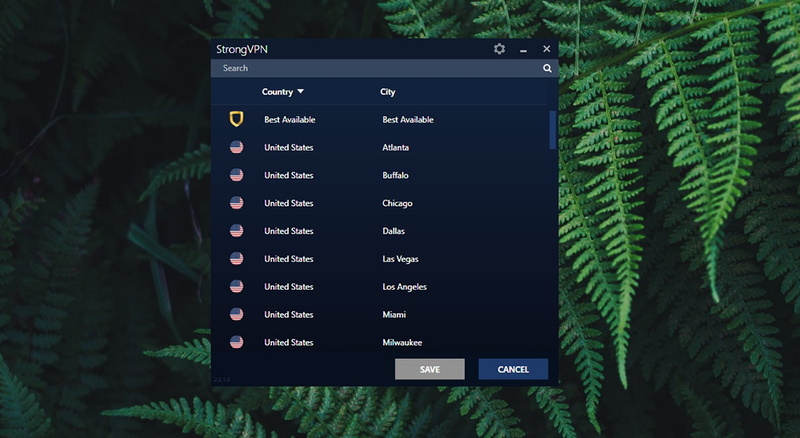 StrongVPN currently offers two subscription plans. However, they come with the exact same feature set, and the only difference is in their price. So, here’s a handy overview of what to expect. 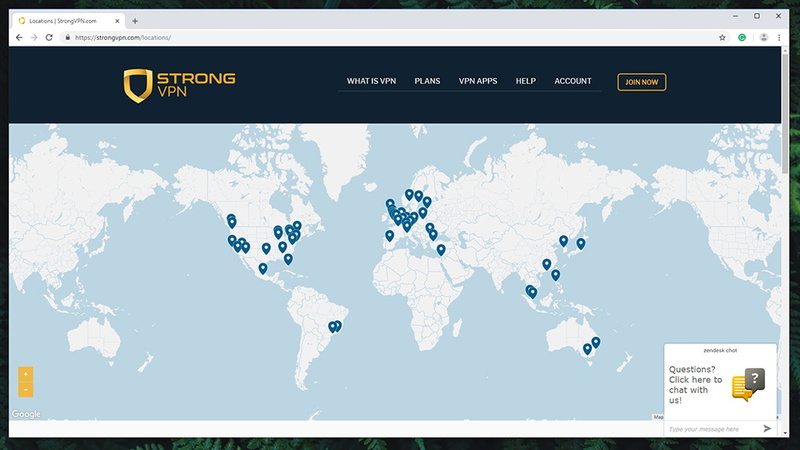 As you can see, you can sign up for StrongVPN for $10.00 per month, if you select its monthly subscription plan. Considering this VPN’s feature set, we have to say that this isn’t the best deal. 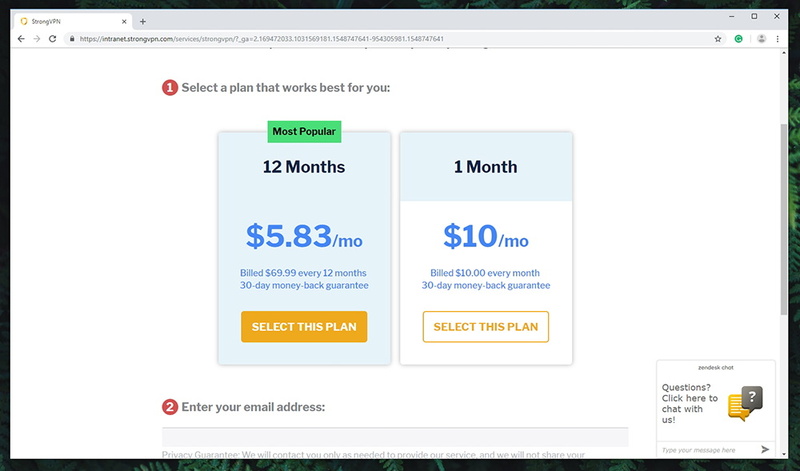 However, the price goes down to $5.83 if you get a 12-month subscription. Top-rated VPNs bring a similar price – but they’re able to provide better performance and unblock more websites. In other words, they bring more value. With this said, we wished to see StrongVPN offering a more competitive pricing structure. Lastly, you can sign-up using your credit card, PayPal, or AliPlay. And also, all plans are covered by a 30-day money-back guarantee. We have to say that StrongVPN is a mixed bag of interesting features and certain letdowns. It can keep you safe and protected online, which is its biggest strength. And also, it unblocks Netflix US, which has become increasingly hard to achieve. However, we don’t like that it comes from the US, which is considered to be the worst place to base VPN operations. PROS: Reliable online protection; Good platform support; Easy installation; Unblocks Netflix US. CONS: Mediocre performance; Missing more advanced features; Can’t unblock a variety of websites; Based in the USA; Not the best value. OUR SCORE: 6.7 out of 10! StrongVPN might not be for everyone, but we still believe that certain users will find that it meets their needs. If you’re one of those individuals, go ahead and sign up for StrongVPN now. Dear readers, that would be all for this review of StrongVPN. We’d like to ask you to share this article online, and don’t forget that you can follow TechNadu on Facebook and Twitter. StrongVPN shows a lot of promise. However, there are plenty of weak spots and downsides that will put off more advanced users. Still, we recommend this VPN to those who want to unblock Netflix and use the basic security features to keep their online browsing anonymous.